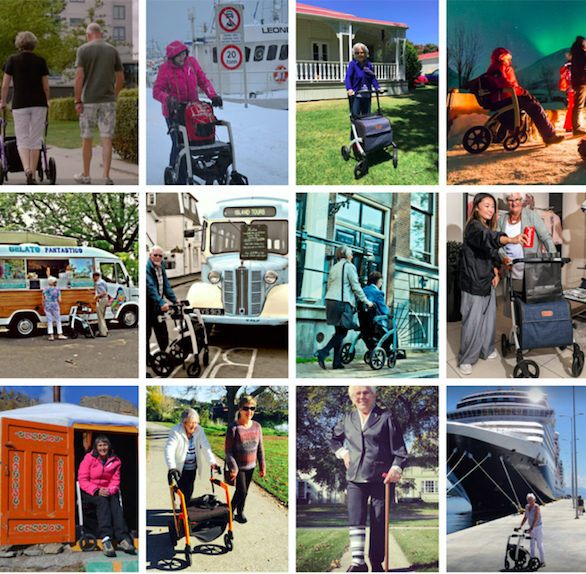 We believe that mobility equipment should be enjoyable to use and, frankly, look good. 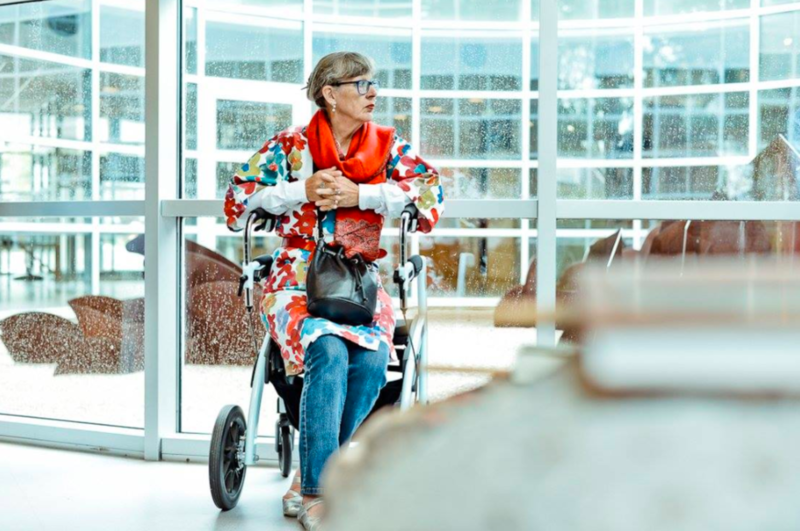 Our mission is to bring innovative products to Australians that set a new standard in assistive technology and provide an alternative to traditional looking walking aids. Our customers love to move with our award winning walking frames, convertible wheelchairs and walking sticks. Join the tens of thousands of people worldwide who live a more active, social and independent life by using our products. "The Rollz Flex has improved my life so much. I can catch the train and bus. It's lightweight and flexibility makes this possible.... I can only express my utmost gratitude and appreciation to the inventors of this lifesaving walker..."
"I like the Rollz Motion's versatility and looks.... I have Alpha1 deficiency - genetic emphysema. Can be used as a walker and when tired my partner can push me!" "[D]espite Dad's reticence about needing a walking aid, he absolutely loves it. It's so easy to use, adjust, store, etc and really makes it so much easier for him to get around.... He is certainly very pleased with it, and I believe it will help a lot with his fitness." "..The Rollz Motion was the swankiest walking aid on the ship by a mile. Its good looks make it a big success with Mum (and with everyone who sees it!).... Thanks again for all your help in ensuring an easy delivery." "I'm loving my new Rollz Motion. We took it to a wedding last weekend and it make such a difference having it with me. It was also an excellent accessory." "I am confident and proud to be out with my Rollz Flex. I would reluctantly use a standard walker." "The Rollz Motion was the best thing I bought for my brother. Not being able to walk long distances I am able to transform it and get around with him much easier.... it folds well and is easy to put in my car." Every person's needs are so different and, whilst we love our mobility products and think they are fantastic, only you will know if they are right for you. If you have any questions at all, please don't hesitate to get in touch with us - absolutely no obligations. We can talk to you about our products and some of our customers' experiences. You can email Anna at anna@locomo.com.au or fill out the form below and we'll get in touch ASAP (if it's important how we get in touch, please let us know if you prefer an email reply from us or if you'd like us to call you). Locomo Australia Limited is a company incorporated in New Zealand and registered with the Australian Securities and Investment Commission as a registered foreign company.